Classic rock is the most revolutionary music genre of all time. These bands of the 1960’s, 70’s, and 80’s framed the world of rock and roll as we know it today. Led Zeppelin – From Robert Plant’s unmistakable vocals to Jimmy Page’s flawless riffs and solos to John Bonham’s intricate unique drum fills to John Paul Jones’ iconic bass lines, all four members of this incredible rock band hold so much personal talent and amazement that together they create the best rock band to ever exist. 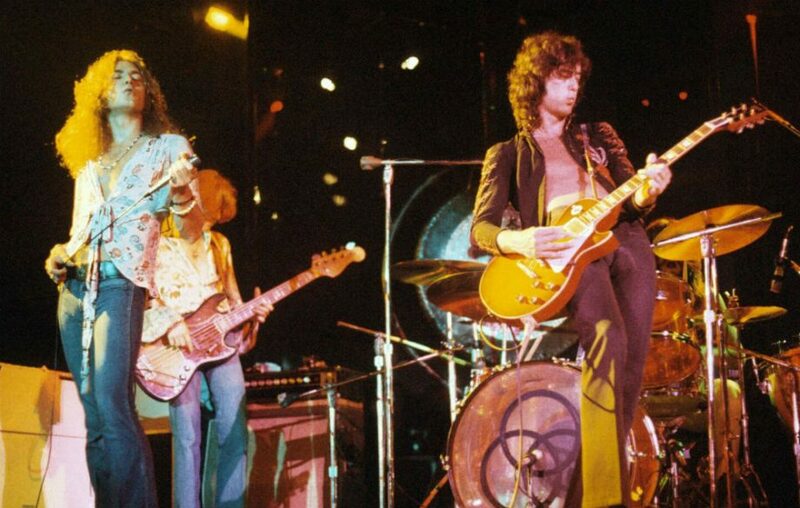 Nearly anyone who’s heard music in their life can name at least one Led Zeppelin song. They blew us away with their first Led Zeppelin album in ‘69 and continued to drop jaws from Houses Of The Holy to In Through The Out Door as well as so many more. Though the tragedy of Bonham’s death in 1980 ended this band’s physical journey, their legend continues to live on and change lives. My personal favorite by them is very hard to decide but I must say I think it has to be “The Rain Song.” If not that, then the version of “I Can’t Quit You Baby” on the album Coda. Rush – Made up of only three members, this progressive band has some of the most talent out of any musical group ever made. Similar to Led Zeppelin, the individual musicians that make up Rush are beyond phenomenal on their own. This is why together their brilliance feeds off of each other and adds up to build such truly mind-blowing, unmistakable, intricate music. Their genius time-signature changes combined with their personal abilities on top of their complicated, unique rhythms plus the concepts and messages behind their albums and songs all blended with the overall mesmerizing flow of the music. Geddy Lee’s incredibly unique high-ranged voice as well as key bass lines that make him one of the world’s best bassists (my personal favorite) combined with the truly outstanding, time-bending drum patterns of Neil Peart along with the wild progressive riffs of Alex Lifeson all together make the sound of this band stand out from any other. My favorite song by Rush is hands down “La Villa Strangiato,” a 10-minute-long beautiful instrumental. Black Sabbath – This is the band that defined heavy metal. They transformed what the world knew as rock music into a new genre itself. They began relating their lyrics to dark messages and ideas of evil and hell which really set themselves apart from the start. Their idea of tuning down guitar strings lower than standard opened up endless opportunities for new sounds. Even out of the studio, they naturally had a more raw, violent take on human lifestyle itself. This is what led to the dark moods and heavy builds of their iconic music. It is nearly impossible not to be impressed by Black Sabbath. Ozzy Osbourne himself, the central “face” of the band, is one of the most well-known rock/metal singers of all time. I have so many favorites of this band. If I were to try to narrow it down I think I’d have to say that “Die Young,” “Fairies Wear Boots,” and “Black Sabbath” are my personal top three. YOU are a rockstar! This article is simply amazing! Thanks for sharing with us! Keep up your writing. This is very well written and presented honestly!!! You have a great future ahead of you. You are spot on! What a great perspective on the greatest music of all time! Awesome article, couldn’t have done better myself.